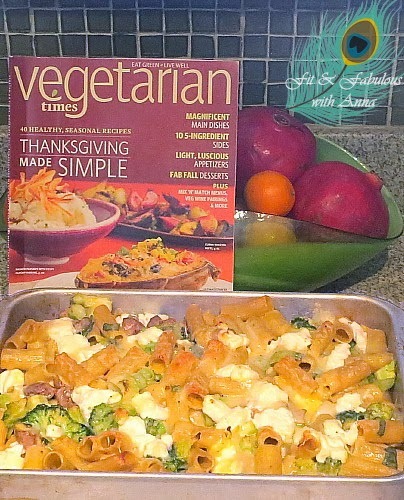 I was flipping through the November edition of Vegetarian Times and found this delicious looking recipe that uses butternut squash, mushrooms, leeks, broccoli and two cheeses to make a really hearty dish. They used a 10-inch springform pan and I had a 9 inch cake pan that I thought would be similar in size but I soon discovered it's not even close! lol So I pulled out my lasagna pan that comes with a lid because I thought it would be easy to store in the fridge afterwards. It also freezes really well. I calculated the calories myself which came up different from the magazine's count. Guess they used a very small serving size. I calculated that if my lasagna pan makes 8 servings (which isn't super large) each serving is 516 calories and 23g protein. This will last me give me an entire week of lunches plus some extra that I put in the freezer. It's a bit on the heavy side but here's my meal plan for this week that comes in at a total of 1334 calories per day. That's a lot less than I usually eat but since it's gotten so cold outside I no longer walk 2 hours a day in addition to my workout videos. The rigatoni is a tad sweet from the butternut squash soup, but if you use fresh sage and pepper generously it balances it out. Be sure to clean your leeks thoroughly as I found lots of dirt in-between the layers. Then chop them finely so you don't get a whole bunch in your mouth on one bite. I haven't used leeks in awhile and forgot what they looked like. My neighborhood just got a new grocery store which I have to say is a bit frustrating to shop in a new grocery store when you don't know the exact layout of where everything is. 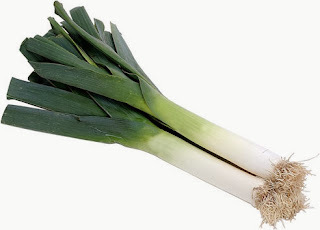 On top of that it occurred to me that I don't even remember what leeks look like so I asked someone if he knew where they were, hoping there weren't right in front of me and I would look like an idiot. lol In taste they are lighter than an onion. Leeks have Vitamin A, Folate, Flavonoids (which help the lining of your blood vessels) and Antioxidants (which fight against free radicals).